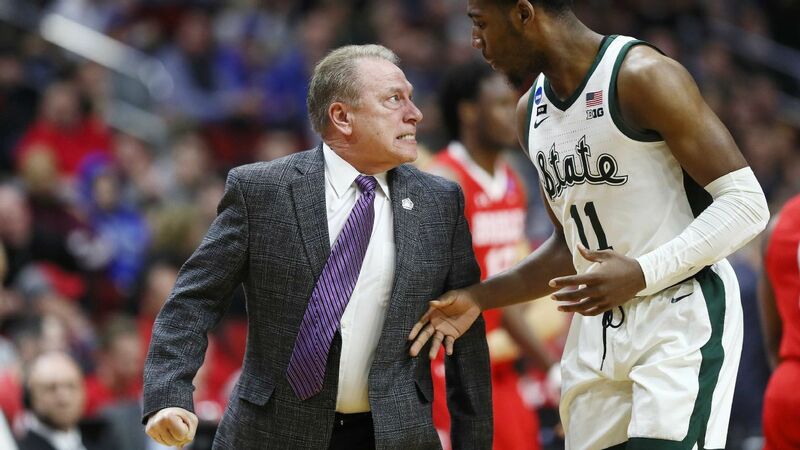 DES MOINES, Iowa – Michigan State coach Tom Izzo did not apologize after Thursday's NCAA tournament's first round win over Bradley to scream at freshman forward Aaron Henry in the second half so intensely the two had to be separated by guard Cassius Winston. "What's wrong with challenging a child who makes some mistakes?" Said Izzo after No. 2 seed Spartan's 76-65 victory. "Aaron Henry – believe me – did some things that you can't do as one starts at a top 5 team at the end of your freshman year. They were betting. Izzo has long trained his players hard and in-shouting matches between the coach and his players are not rare. "I've heard worse from him," Henry said after scoring eight points against Braves. "I've got worse in practice before." Michigan Country Commander Tom Izzo says the team must compete better on Saturday, but he liked his star point guard, Cassius Winston. Izzo said he was worried about Henry for returning to the defense on anything less than full action at some point in the second half. Winston played the peacemaker.